The Write Inspiration | Experience life, travel, be inspired, write. Recently we experienced the Super Blood Wolf Moon in North and South America, Europe and part of Africa. The photos everyone shared were awesome. We can all relate to something we have in common, even it’s not of the Earth. And it’s a good feeling to be a part of something so special, and be able to share it with others who can relate. My recent reading has told me that we are all a part of the same existence/energy/intelligent awareness and are interconnected. While it makes sense, it’s hard to fathom when we look at the differences between Mother Teresa and the Son of Sam, for instance. We see our differences so easily; our cultures, religions, races, political views and more. So we end up belonging to certain groups, like it or not. So even then, we don’t always feel like we belong to the groups we are placed in. Some people don’t even feel they fit in with the rest of their family. We want to belong, but we don’t always fit in, or fit the criteria of certain people to let us into their groups. How important is fitting in to you? Who is most important for you to belong to? In WHERE SHE BELONGS I hope to capture some of these feelings and opinions. Already, people have commented to me that just from the title of the book they could relate. Please feel welcome to share your opinions here and give your insights. I’ve been notified of this nomination of AS WE FORGIVE THOSE in the top 100 indie romance books for 2018 and have been sent a link for those who wish to vote for it to make it to the top 50. Thanks for your support and readership! Don’t you wonder how many times you’ve planned something only to have it not work out or be interrupted by something else? Too numerous to count, right? On a recent trip to Hawaii after publishing AS WE FORGIVE THOSE a month earlier, I decided to put some thought into my next novel which I’d roughly planned. But nothing more came to mind. Meanwhile, a completely different story came through and it was set in Hawaii. I’d heard a few times when firsting writing some years ago, Hawaiian stories weren’t really popular because readers wouldn’t resonate with them. And after all, if I wrote a book set in the midwest where I’m from, it would be a new world to readers from elsewhere, but one they could relate with. But how do you not write a book that comes to you so vividly as I experienced? Having no computer or notebook along, I used the hotel stationary to jot down thoughts as they came along, so I wouldn’t forget anything. And so my new novel was born. What are your thoughts and opinions of a novel set in Hawaii? Do you think going with your gut instinct overrules other suggestions? 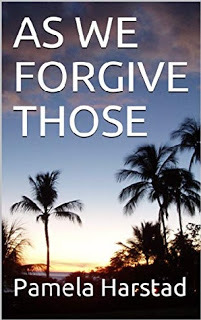 The paperback version of my new release, AS WE FORGIVE THOSE is available in paperback as well as digital. I know many of my readers prefer the paperback version, so I’m finally happy to say it’s available. Visit https://amazon.com/author/pamelaharstad for you copy. I hope you enjoy reading it as much as I did writing it. Feel free to share. Thank you! HBS Blog Feature of my New Release. The Showcase is a special feature of the Author’s Spotlight. It is designed to highlight Spotlight author’s NEW releases and their soon to be released novels. The HBS Author’s Spotlight SHOWCASES Pamela Harstad’s New Book: AS WE FORGIVE THOSE. 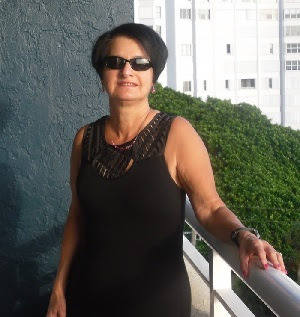 Author Pamela Harstad is an inspirational romance writer. Free for Kindle unlimited users or check out the free sample. From Venice, Italy to the Florida coast, Tony and Ava are drawn together through serving others affected from human trafficking and those abused in the crisis centers he founded. But Ava must decide if she can give up the secure life she has rebuilt, or risk it to follow another path, as traumatic crises affect their lives and threaten their relationship.